From Acoustic Sounds, Inc., the world leader in audiophile music sales, comes the highest quality analog reel-to-reel tape album reissues - Analogue Productions Ultra Tape! 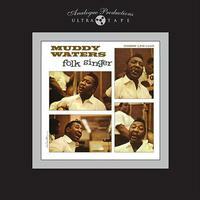 From Analogue Productions comes another classic title in our Ultra Tape reel-to-reel album reissue series. Each is a 15 ips, ¼-inch analog tape copy (IEC equalization) sourced from a copy of the original analog master tape. Transferred real-time, using an ATR-modified Ampex Tape Machine with flux magnetic heads. Custom slipcase cover.